After a year of intensive use of our Circus Gibra installation at children’s museum Villa Zebra, the suits that we especially made for this installation were not that happy and colorful anymore. We got the possibility with funding from the Gemeente Rotterdam to create together with the kids from the area Feijenoord, 4 new circus suits. 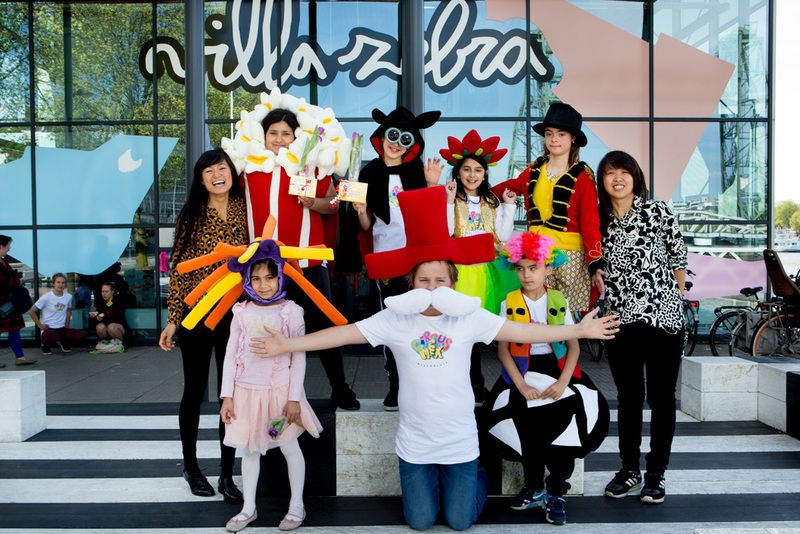 During the workshops that we gave at Speeltuin Afrikaanderplein and at Circus Mix we saw some new cool ideas (such as a popcorn suit, lion, funny clown, mustache man etc.) for in our circus installation and created this small finger puppets again into real suits for kids to wear. On May 2nd was the presentation of the new circus suits.